I confess that I never thought Donald Trump would get as far as he has. 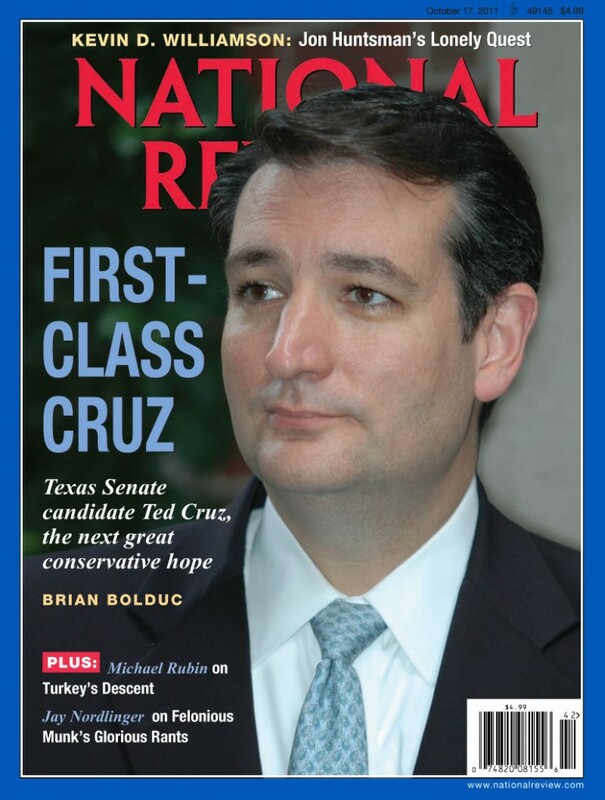 I thought he would crash and burn, like so many of the Republican candidates in 2012. I thought Hillary Clinton was the inevitable Democratic candidate, and that Scott Walker might take the Republican nomination away from Jeb Bush. I did not think that somebody as sleazy as him would be taken seriously by the mass of ordinary Americans. I kept waiting for Donald Trump to say something so outrageous and stupid that his candidacy would fail. But here he is, stronger than ever – as Thoreau of Unqualified Offerings says, something like The Mule in Isaac Asimov’s Foundation series. I still don’t think Trump will be nominated, and, if he is, I don’t think he will be elected. I most certainly wouldn’t vote for him. 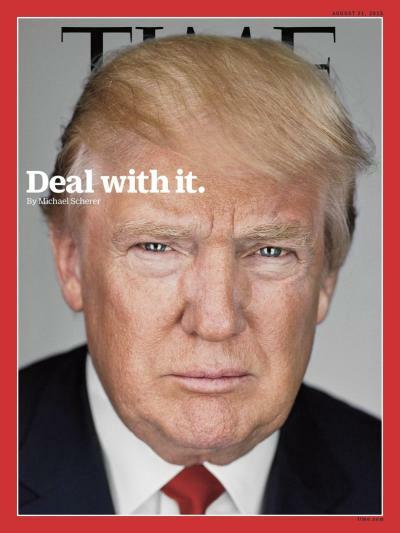 But I don’t see that he is that much crazier than the mainstream Republican candidates or Hillary Clinton. Muslim-bashing is bad, immigrant-bashing is bad, and “roughing up” black protesters is truly vicious. But it is just as badworse to accept perpetual war as normal, economic decline as inevitable, and financial fraud as something you can’t do anything about, which is what almost all the so-called mainstream candidates do. Eight Things About Donald Trump by John Scalzi on his Whatever blog. How Republicans and Polls Enable Donald Trump by Nate Silver for FiveThirtyEight. 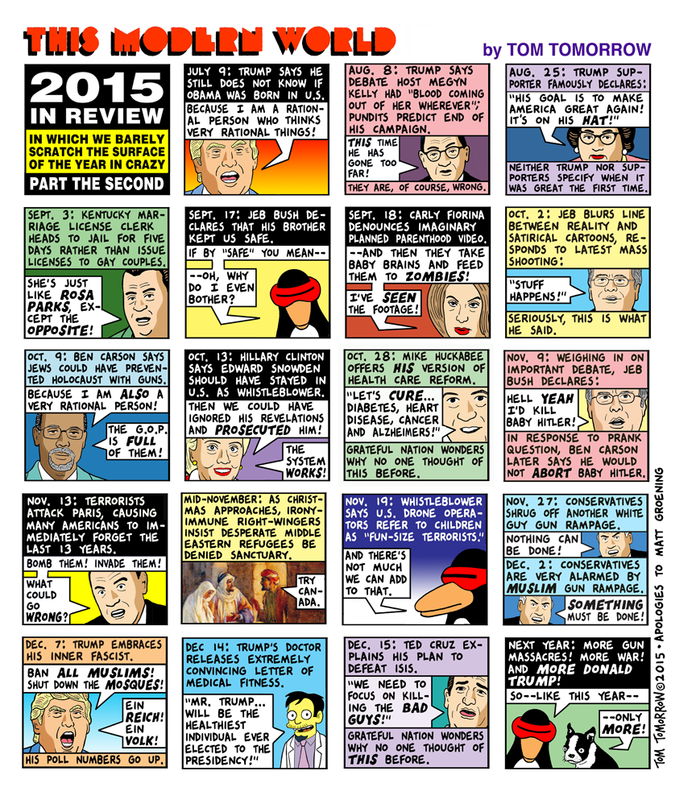 Six Crazy Things Trump Says That Are Spot On by Ted Rall for Japan Times. 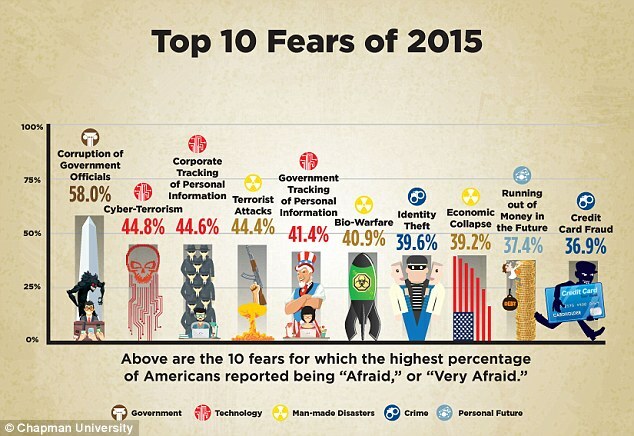 Source: Chapman Survey of American Fears. When U.S. forces bombed and then invaded Cambodia in 1970, many Americans were shocked, both at the mass slaughter of bystanders and at the fact that it was done without a declaration of war. Nowadays such actions have come to be regarded as normal. 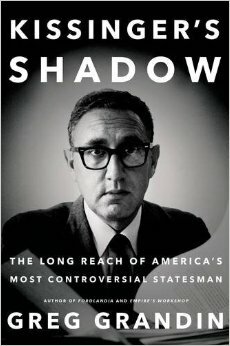 Historian Greg Grandin, in his new book, KISSINGER’S SHADOW: The Long Reach of America’s Most Controversial Statesman, says the normalization of military aggression and mass killing of civilians is due to the influence of Henry Kissinger, not just as national security adviser and secretary of state under the Nixon and Ford administrations, but as an influential public intellectual and elder statesman. Kissinger’s bloody record includes the prolonging of the Vietnam conflict, the carpet bombing of Cambodia and Laos, support for Indonesia’s invasion of East Timor and massacres of minorities and dissidents, the overthrow of the democratically-elected Allende government in Chile, sponsorship of South American death squads through Operation Condor, support for white mercenaries fighting African liberation movements and much else. But U.S. military interventions, covert actions and war crimes did not begin with Kissinger nor, for that matter, with the Cold War, nor are such things unique to the United States. The real significance of Kissinger, according to Grandin, was that he, more than anyone else, was responsible for the overcoming of the “Vietnam syndrome” – the idea that U.S. use of force should be restrained by morality, law and prudence, and that so many Americans have come, without realizing it, to accept Kissinger’s philosophy of power. Kissinger was an admirer of the German philosopher and historian Oswald Spengler, who believed that civilizations rise when they have powerful leaders whose understanding is based on sound instinct and intuition. Spengler believed they decline when leaders limit themselves to sterile reasoning and empirical fact. While Spengler believed that Western civilization was in a state of irreversible decline, Kissinger thought that this could be reversed by statesmen with the strength of will to ignore the “fact men” and impose their vision on reality. Kissinger, according to Grandin, believed that power was a dynamic process. The only way a nation could maintain power was to participate in the struggle for power. A nation whose leaders stayed on the sidelines would only become weak. 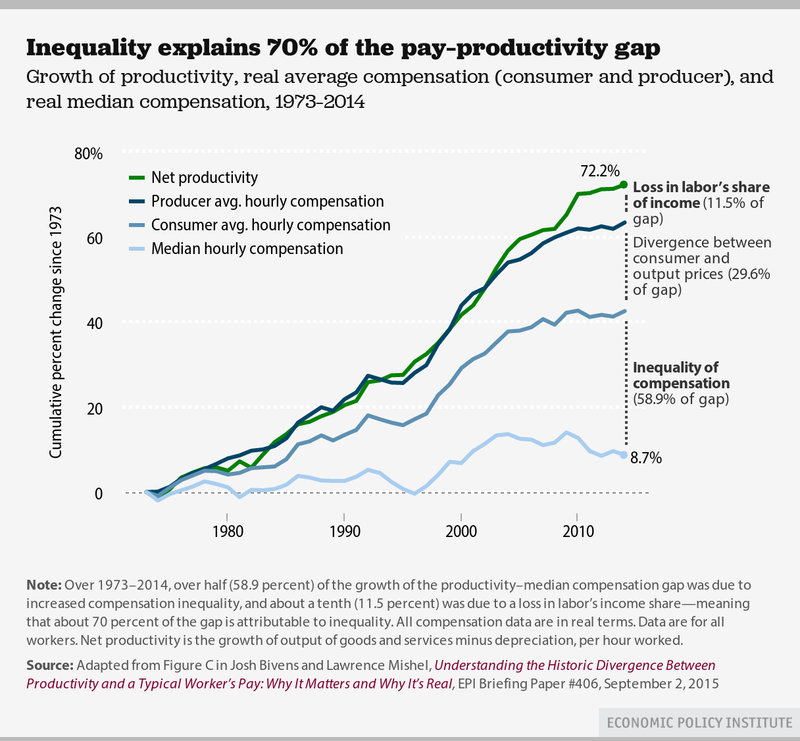 I thank my e-mail pen pal Bill Harvey for pointing me to these charts from the Economic Policy Institute. 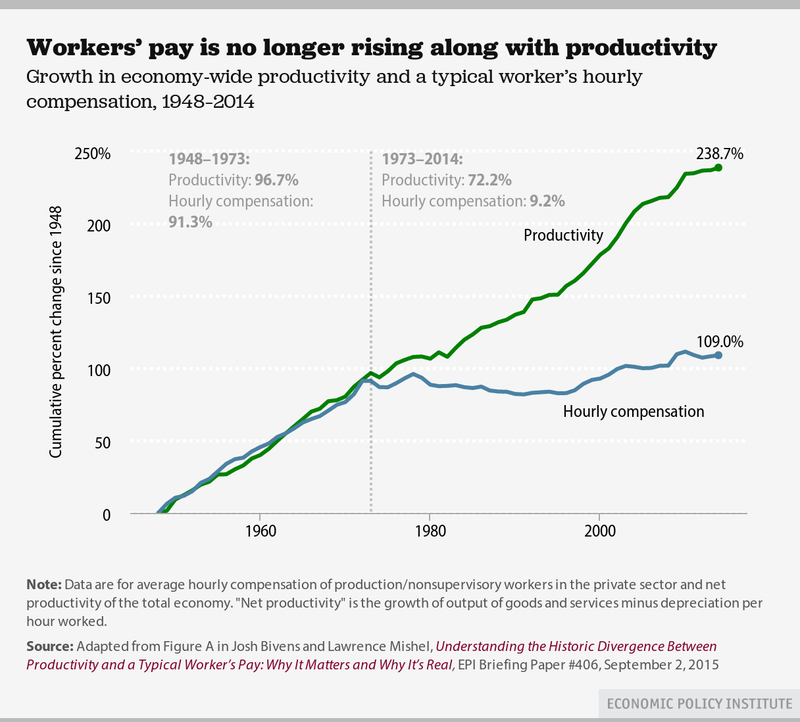 Any candidate for national office who ignores the issues raised by these charts isn’t worth listening to. I don’t see Russia’s Vladimir Putin as a threat. He has been backed into a difficult corner. Russia’s economy suffers under economic sanctions, the Russian intervention in Syria isn’t going as well as hoped, and the Russian governmental structure is riddled with corruption. But Russia has a nuclear force second only to the USA. Russia is the only national in the world with the power to bring about the mutual destruction of itself and the USA. It is a bad idea to back Vladimir Putin into a corner in which he thinks Russia is threatened, over matters in which the United States has no vital interests. President Obama says Putin is an aggressor. If so, he is a highly unsuccessful aggressor. Russia’s position is much weaker than it was five years ago. Back then, Russia had good relations with Ukraine and it was integrated into Russia’s economy. Now the best Putin can hope for is continued Russian occupation of Crimea, a devastated eastern Ukraine friendly to Russia and a hostile western Ukraine. 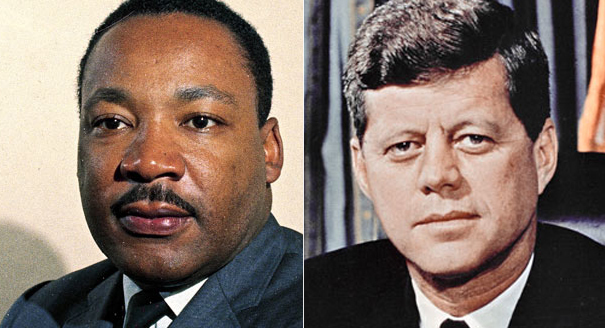 Why do African-Americans still honor JFK? I have long been puzzled by why so many African-American families have portraits of John F. Kennedy in their homes in a place of honor alongside the Rev. Martin Luther King Jr.? President Kennedy was a hesitant and lukewarm supporter of civil rights, which is better than nothing. If you wanted to honor a white champion of civil rights, why not honor Abraham Lincoln or even Lyndon Johnson? The historian and writer Vijay Prashad asked this question of an African-American friend and social justice warrior when he was living in Providence, Rhode Island. I remember Alice, even as she struggled with her own health, coming to meetings, sitting down and quietly fulminating about problems, or being on the street at a press conference or demonstration. She was a pillar of strength. Each time I went to pick her up at a meeting, and as I waited for her to get her things or to get me something to drink (which was part of her obligatory kindness), I stared at the portraits. One day, casually, I asked her why she had a picture of JFK on the wall. I could understand the King picture, but not that of a man who had not given King and his movement the kind of support necessary. And besides, I said, it was LBJ who pushed Congress to pass the Civil Rights and Voting Rights Acts. She smiled at me, ready to indulge my impertinence. “Of course President Johnson did those things. And those acts were important. But were they enough? What did they get us? This … ” Her weak arms opened expansively to encompass not only her living room but her neighborhood, her world. Tags:African-Americans, John F. Kennedy, Martin Luther King Jr.
Bernie Sanders has broken the fundraising record for most contributions at this point in a presidential campaign, surpassing 2.3 million donations. 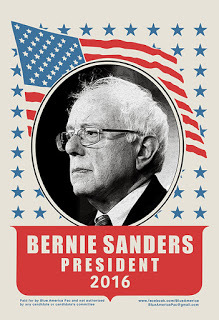 According to a Dec. 20 post on Sanders’ campaign website, the previous record-holder was Barack Obama, who had logged 2,209,636 donations by Dec. 31, 2011 during his reelection bid. Many of these contributions are from small donors: according to the Sanders website, the average donation that came in during the third Democratic debate on Saturday was less than $25. Sanders raised more than $26 million in the third quarter of 2015, according to the New York Times. He wrote that history – the history of Hitler’s Germany, Mussolini’s Italy and the reign of the Ku Klux Klan in the Old South – teaches that people turn to fascist movements when they’ve suffered damage – military defeat, economic devastation and, above all, psychic damage. Germans and Italians in World War One, and white Southern Americans in the Civil War, suffered military defeat, economic devastation and, worst of all, humiliation. What kind of damage have Donald Trump’s followers suffered? Speculating freely, I’m guessing we’ve got several overlapping subsets in Trump’s following, with damage common to them all. First overlap: The cohort described by Yves [Smith] in this post: “‘Stunning’ Rise in Death Rate, Pain Levels for Middle-Aged, Less Educated Whites”; “488,500 deaths would have been avoided in the period 1999‒2013,” had the death rate continued to fall at its previous rate of decline. That’s a lot of organic damage. Second overlap: The “working class whites” whose jobs and communities were destroyed by the neo-liberal dispensation that began in the mid-70s, given that “less educated” is a proxy for working class. More damage there. Third overlap: Military personnel who were sent, by elites, to fight and lose the Iraq and Afghanistan wars, many of whom (thanks to the wonders of modern battlefield medicine) came back to their families and communities terribly wounded (not to mention with post-traumatic stress). More damage. Fourth overlap: The “bitter”/”cling to” voters (explicitly) thrown under the bus by Obama’s faction when it took control of the Democratic Party in 2008 (with results that we saw in the failure to ameliorate the foreclosure crisis, and the administration’s successful shrinkage of the workforce, as shown by the labor force participation rate). More damage. Again, add up the decades of organic damage. My anger would be bone deep. And justified. Wouldn’t yours? Trump, and maybe Sanders, are speaking to that anger. Today’s Democratic establishment is not. My friend Hal and I were in a coffee shop the other day. Hal remarked that if somebody set off a car bomb in the parking lot and blew us all to smithereens, that would be an act of terrorism. But, he went on to say, if somebody dropped a bomb from 15,000 feet into the parking lot and blew us all to smithereens, that also would be an act of terrorism. And it would be an act of terrorism even if we were foreigners with brown skins and Arabic names. This is so obviously true that I am continually amazed at how many people I know, including self-described liberals, that are unable to see this. If killing civilian bystanders is terrorism when Muslims do it at ground level, it is terrorism when Americans and Europeans do it from the air. 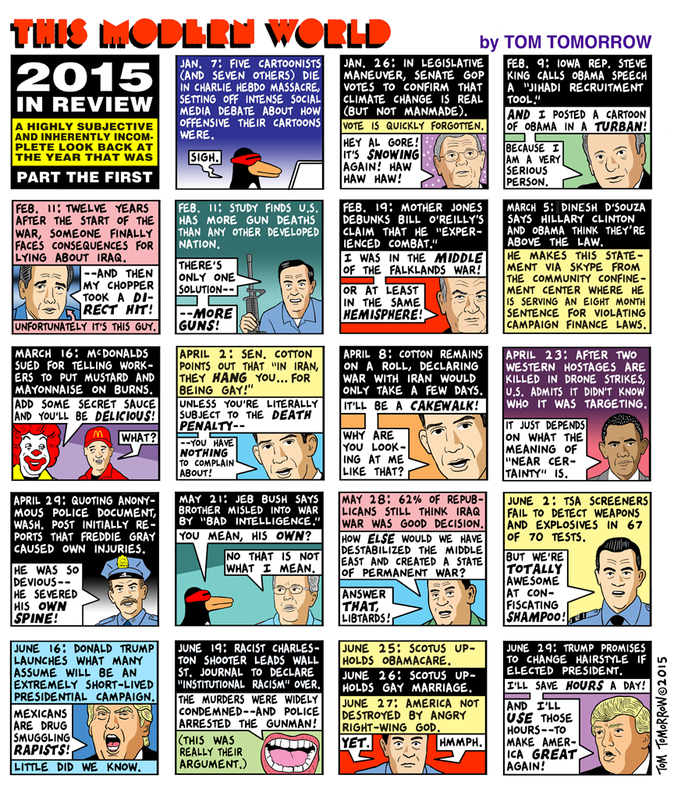 An Idiot’s Guide to Why They Hate Us by Paul Street for Counterpunch. About 2 percent of Americans have untreated severe mental illness. Those 2 percent of people account for 10 percent of police responses, 20 percent of those behind bars, and 25 percent of fatal police encounters. 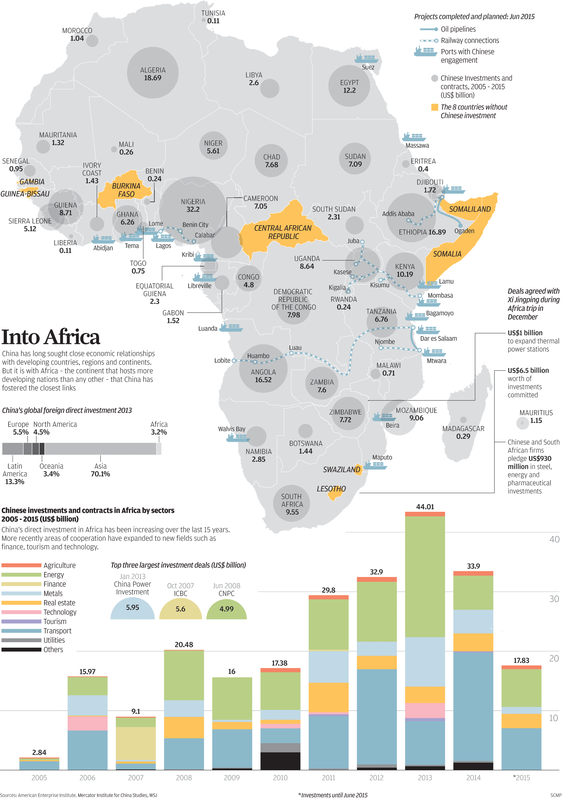 China is Africa’s largest trading partner. Its infrastructure investment are large and growing, although total Chinese investment in Africa is less than U.S. investment. If all goes well, the infrastructure investments will result in building up Africa’s export industries, which will be used to pay off the Chinese loans. If not, China will still have a claim on the food, energy and mineral resources of Africa, much as European and American banks did in an earlier era. 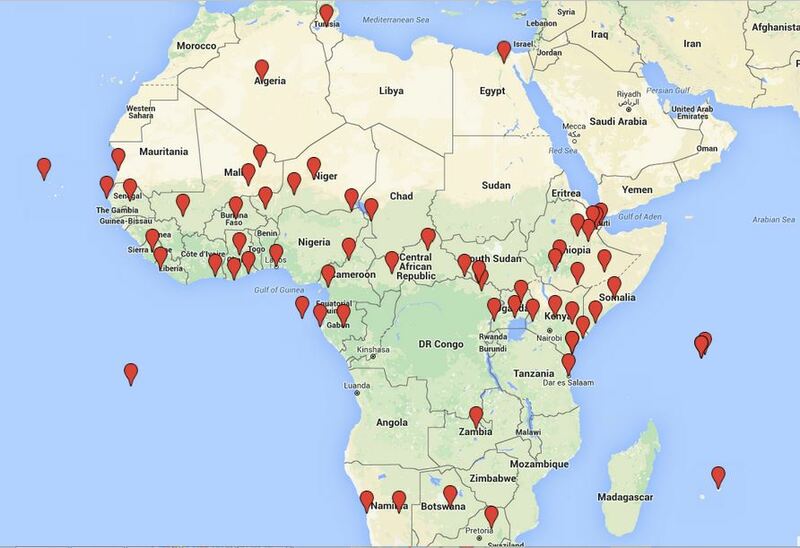 U.S. military sites in Africa. Click to enlarge. Source: Nick Turse for TomDispatch. The United States meanwhile is increasing its presence in a different way. Investigative reporter Nick Turse, whose articles are posted on TomDispatch, reports a growing number of secret U.S. military site in Africa, to advise and help the armed forces of African countries and supposedly to be in place to fight terrorists. Which will be stronger in the long run—China’s economic influence or American military influence? I think some Africans probably resent the growing power of China as a foreign economic power operating in their countries. I think some African leaders would be grateful if the U.S. military could provide effective help against the Boko Haram terrorists in Nigeria or the so-called Lord’s Resistance Army in central Africa. But overall, I’d bet on China. The Chinese are creating jobs and building useful and visible public works, which foreign military bases and the presence of foreign troops are always resented. The trouble with thinking of the world in terms of a struggle between good and evil is that you forget the difference between right and wrong. Or, to put it another way, the danger of total commitment to fighting evil in the world is that you lose sight of the potential for evil in yourself. Hispanics in the United States are nearly as poor, on average, as African Americans. Yet they live longer, on average, than non-Hispanic whites. What’s their secret? Jasmine Aquilera, writing for Yes! magazine, says it is a combination of close community and family bonds, a healthier diet and la cuarentena, a Latin American tradition in which a new mother rests for the first 40 days after giving birth, not lifting a finger except to breastfeed and bond with her child. A life in which community and family take priority would certainly be less stressful than a life in which priority is given to climbing the ladder of success—particularly in an economy in which so many people are moving down the ladder rather than up. The traditional Mexican diet, based on corn, beans and rice, is indeed a healthy one. It should not be confused with the Tex-Mex diet, with its big gobs of ground meat and melted cheese. I think that the Tex-Mex diet may be a big reason Hispanics suffer disproportionately from obesity and diabetes. I was especially interested in Aquilera’s report on the custom of cuartena. It reflects a culture that is profoundly pro-life in a way that goes beyond mere opposition to abortion and contraception. I’ve read international surveys of happiness, which in general is proportional to the level of material well-being in various countries. The exceptions are the former Communist countries of eastern Europe, where people are less happy than the statistics would indicate, and the Latin American countries, where people are more happy than the statistics would indicate. I think Latin Americans have something to teach us Anglo Americans about how to live. 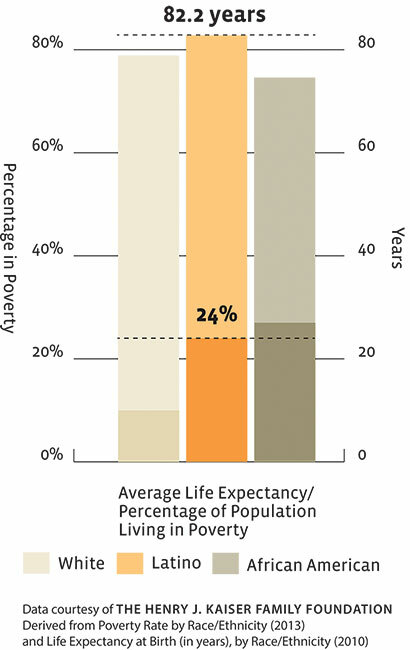 Latinos Live Longest Despite Poverty. Here’s Their Secret by Jasmine Aquilera for Yes! 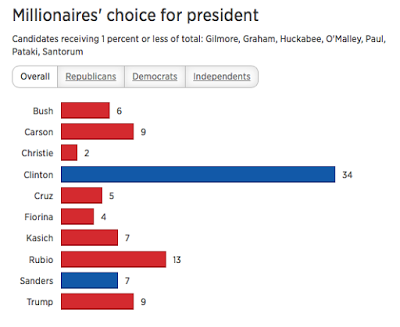 Public opinion polls show Donald Trump and Bernie Sanders with roughly equivalent public support. 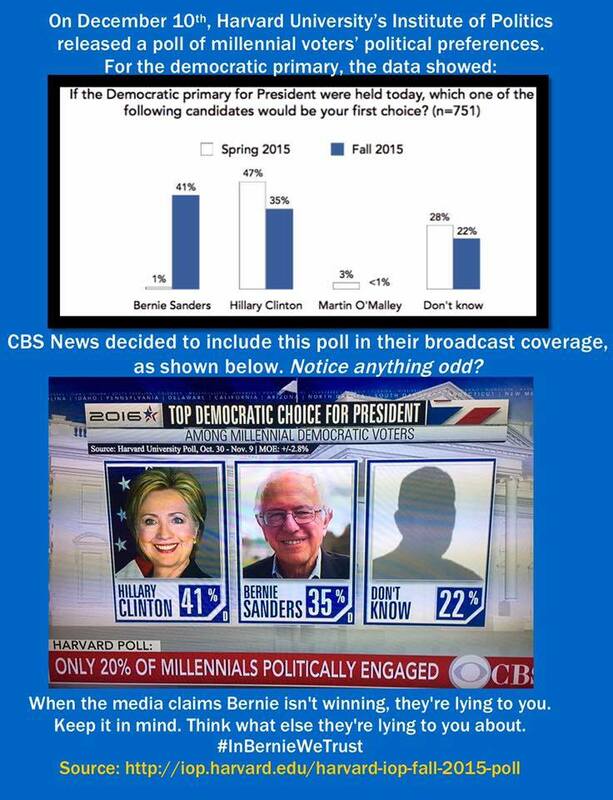 Yet Trump dominates TV news coverage while Sanders is hardly even noticed. Eric Boehlert of Media Matters quoted these results from a survey called the Tyndall Report. Obviously, Trump is the GOP frontrunner and it’s reasonable that he would get more attention than Sanders, who’s running second for the Democrats. But 234 total network minutes for Trump compared to just 10 network minutes for Sanders, as the Tyndall Report found? But how can that be? ABC News, for instance, clearly devoted more than 20 seconds to covering the Democratic debates, which featured news of Sanders, right? Does it matter if Fed raises a key rate 1/4 of 1%? The Open Market Committee of the Federal Reserve System has raised a key interest rate from a quarter of a percentage point to half a percentage point. Many economists and writers fear this may sink the economic recovery. I say that if such a minute change will sink the recovery, the recovery was leaky to begin with. The interest rate is the Fed Funds target rate, the interest rate at which banks lend money to each other overnight in order to have the minimum reserve funds required by the Federal Reserve System. One of the goals of the Federal Reserve System is to strike a balance between unemployment and inflation by regulating interest rates and the supply of money. The idea is that when interest rates are low, people borrow more money to spend and investment, resulting in more jobs but also inflation and price increases. When interest rates are high, the reverse supposedly happens. But key interest rates have been at nearly zero (or below zero according to some measures), and the economy hasn’t responded. 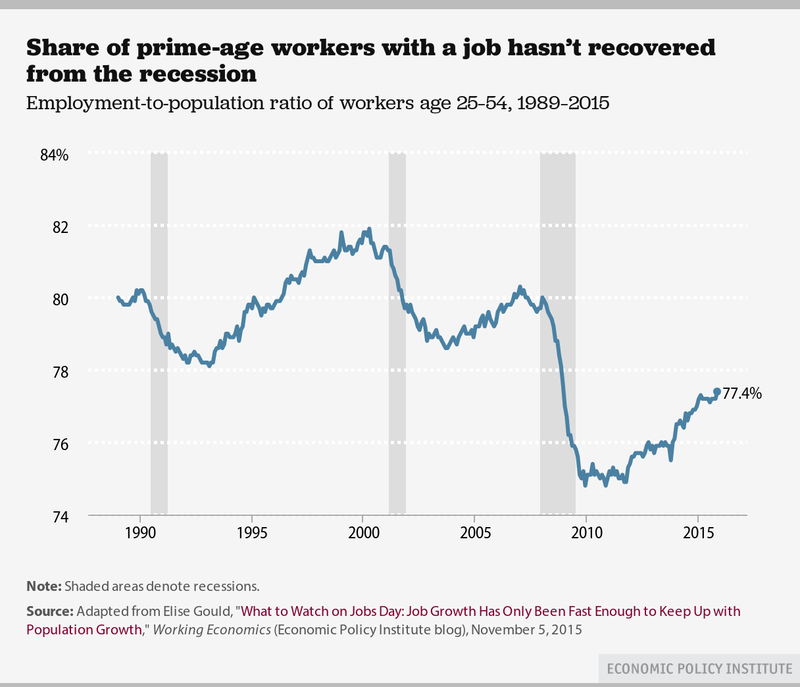 The increase in jobs is much less than in previous economic recoveries, while inflation continues low. 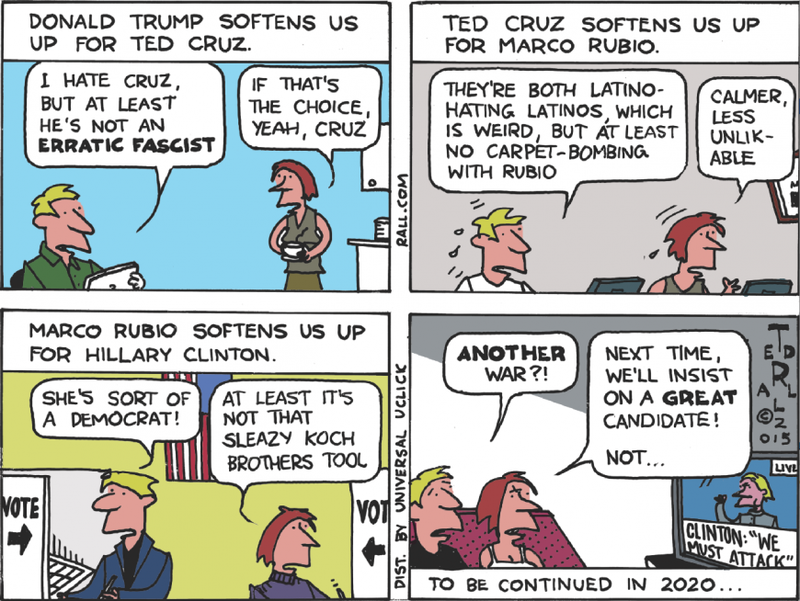 I wouldn’t vote for Ted Cruz or Donald Trump, but they advocate a less dangerous foreign policy than Marco Rubio, Jeb Bush or even Hillary Clinton. They both recognize that U.S. military interventions in the Middle East have been disasters and that further military intervention is unlikely to produce any better result. They both think that the best way to fight ISIS is to get out of the way of the enemies of ISIS – Russia, Iran, Syria and Hezbollah. That makes them significantly different from Marco Rubio and Jeb Bush, who want to send ground troops to the Middle East. The problem with Cruz and Trump is that, while reluctant to increase the number of America’s foreign enemies, they are eager to wage political war against domestic enemies. For Cruz, these are atheists, secularists, abortionists and gays. For Trump, these are Mexicans, Muslims and the #BlackLivesMatter movement. This is in contrast to Barack Obama and Hillary Clinton, who seek harmony at home while treating the lives of foreigners in majority-Muslim countries as expendable. I don’t see why Trump, who wants to bar Muslims from the United States, is morally worse than Rubio, Bush or Clinton, who support aggressive wars resulting in the deaths of hundreds of thousands of Muslim bystanders. ISIS, al Qaeda and the other violent jihadist fighters are not from any one country. They are part of an international movement, so there are Arabs fighting in Afghanistan and Chechens fighting in Syria. In a sinister way, they resemble the international brigades that fought in the Spanish Civil War in the 1930s. ISIS, al Qaeda and their supporters are inspired by teachings of the Wahhabis (or Salafis), an extremely harsh theocratic sect with roots in Saudi Arabia and a strong following in Pakistan. Assad’s army isn’t just vulnerable, it also isn’t strictly a Syrian force anymore. For the last two years, the forces on his side have increasingly been made up of foreigners, including Revolutionary Guards from Iran, members of Iraqi militias and Hezbollah units from Lebanon. They are joined at the front by Shiite Afghans from the Hazara people, up to 2 million of whom live in Iran, mostly as illegal immigrants. They are forcibly conscripted in Iranian prisons and sent to Syria — according to internal Iranian estimates, there are between 10,000 and 20,000 of them fighting in the country. The situation leads to absurd scenes: In the southern Syrian town of Daraa, rebels began desperately searching for Persian interpreters after an offensive of 2,500 Afghans suddenly began approaching. It is the first international Shiite jihad in history, one which has been compensating for the demographic inferiority of Assad’s troops since 2012. The alliance has prevented Assad’s defeat, but it hasn’t been enough for victory either. Furthermore, the orders are no longer coming exclusively from the Syrian officer corps. Iranian officers control their own troops in addition to the Afghan units, and they plan offensives that also involve Syrian soldiers. Hezbollah commanders coordinate small elite units under their control. Iraqis give orders to Iraqi and Pakistani militia groups. And the Russians don’t let anyone tell them what to do. There is no inherent reason why Sunnis and Shiites should be at war. They have lived side by side in peace for more centuries than they have been in conflict. The main reason they are in conflict now is that it is in the interest of governments such as Saudi Arabia, Iran and Turkey to use armed religious militias to advance their own political and economic objectives. Another reason is the destruction of civil order as a result of U.S. invasions, so that the religious militias are the only source of protection. There is a great danger to the world if the USA and Russia allow themselves to be drawn further into this conflict, the USA on the side of Saudi Arabia, Turkey and the Sunni fighters and Russia on the side of Iran, Syria and the Shiite fighters. A confrontation between the world’s two main nuclear powers would mean that the killing and destruction now going on in the Middle East could spread over the whole world. Who will fight for the U.S. against ISIS? The Syrian situation reminds me of a remark by Adam Smith in (I think) The Wealth of Nations — about how masterminds who think of themselves as master chess players, using other people like pieces on a chessboard, will find the people they think they are manipulating are actually playing their own game. The aims of the U.S. government in the Middle East are, in no particular order, to overthrow the regime of Bashar al-Assad in Syria, to counter the growing power of Iran and to destroy the Islamic State (aka ISIS, ISIL or Da’esh). The bitter experience of the Afghanistan and Iraq invasions means that the American people will not tolerate a large-scale intervention with ground troops, so American leaders, including the principal Democratic and Republican presidential candidates, look for pawns to carry out U.S. purposes. Here is a rundown on these pawns and the games they are playing. Saudi Arabia and the Gulf emirate governments, all predominantly Sunni Arab nations, fear the rise of Shiite Iran and Shiite power in Iraq much more than they do Sunni Arab ISIS or al Qaeda. To the extent they fear ISIS and al Qaeda, it is more as an internal threat, and they are happy to see their local rebels go off to fight and maybe die for ISIS. The Saudi government doesn’t crack down on individuals who contribute to ISIS because they reflect the beliefs of Wahabism (aks Salafism), the harsh version of Sunni Islam that rules Saudi Arabia. The Kurds in northern Syria and Iraq are fighting ISIS effectively, but they are fighting to defend themselves and their goal of an independent Kurdistan, to be carved out of the existing territory of Syria, Iraq, Turkey and Iran, not as part of any overall “war on terror”. They aren’t going to give up that goal just because it is inconvenient to the USA. The Turkish government desires the overthrow of the Assad government in Syria and the suppression of Kurdish nationalism more than suppression of ISIS. Oil from ISIS-controlled territory enters Turkey, and money and arms go from Turkey to ISIS. Turkish politicians talk of the glories of the Ottoman Empire and of the unity of ethnic Turks across Asia. The Iraqi government desires to prevent breakaway movements, whether ISIS, other Sunni Arab fighters or Kurds. The Sunni Arab militias and tribal leaders in Iraq blame the United States for overthrowing Saddam Hussein and setting up an Iraqi government dominated by Shiite Arabs, so they’re not willing to be U.S. proxies in a campaign against ISIS. The Shiite Arab militias in Iraq hate ISIS, but their leaders distrust the United States and won’t work with Americans. The “moderate Arab” rebels in Syria primarily desire to get rid of Bashar al-Assad and talk about fighting ISIS primarily to obtain U.S. weapons – many of which wind up in the hands of ISIS, al-Nusra and like groups. The Iranian government desires to support Shiite Muslims against all enemies, including Saudi Arabia, Turkey or ISIS, and to defend Syria and also Hezbollah, which represents the Shiite Muslims in Lebanon. This leaves Vladimir Putin’s Russia. Putin justifiably fears the influence of ISIS and other jihadist terrorists on the large Muslim population in the Caucasus and other regions of the Russian Federation. He also wants to defend Russia’s Syrian ally and keep Russia’s naval station in Syria. But for him, the war against ISIS is a war of self-defense, not merely a means of extending Russian influence. If fighting ISIS is the top U.S. priority, then the U.S. government should find a way to cooperate with Russia against ISIS. If the U.S. government is unwilling to cooperate with Russia against ISIS, then fighting ISIS is not the top U.S. priority. 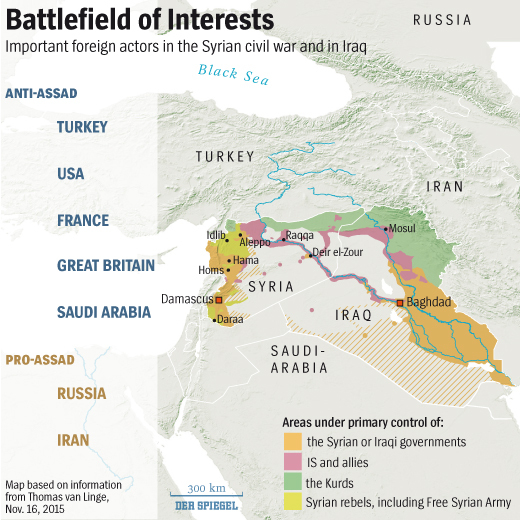 What is Russia’s real objective in Syria? 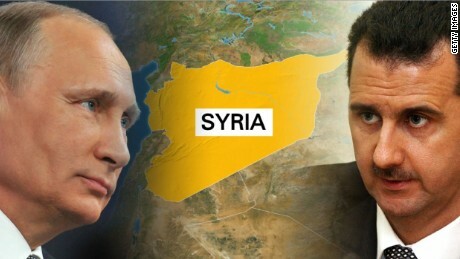 Is Vladimir Putin’s objective in Syria to destroy ISIS or to prop up the regime of Bashar al-Assad? It seems to me that the answer is “yes”. 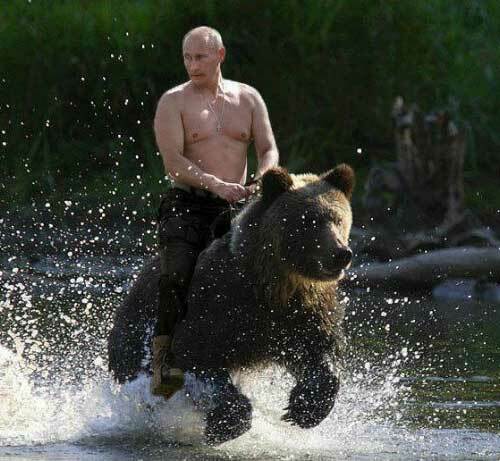 I’ve read articles criticizing Putin for concentrating Russian airstrikes on rebels other than ISIS. 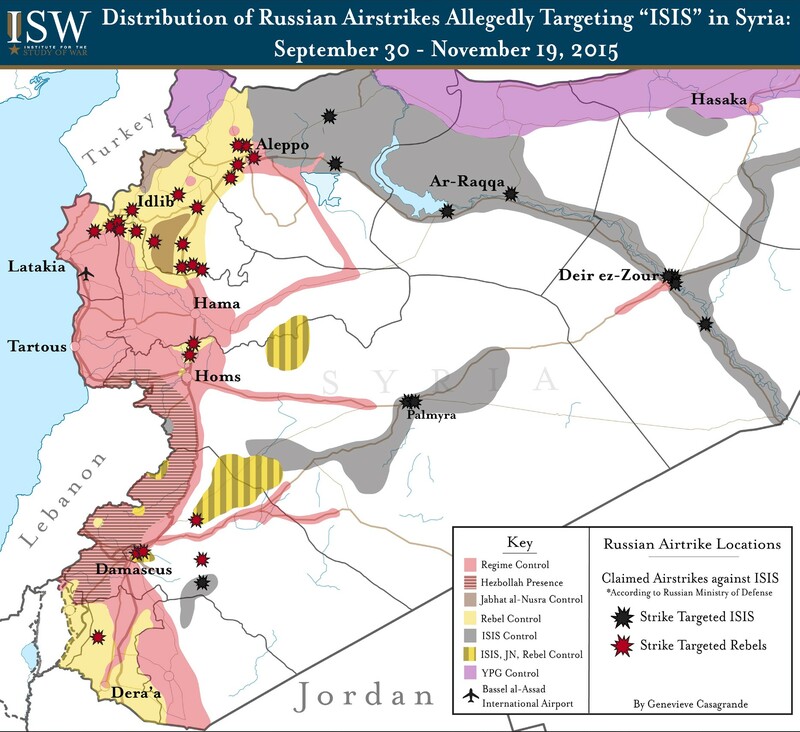 Some of these articles hint that Putin or maybe even Assad are secretly supporting ISIS. I think this criticism mistakes the nature of air power. Command of the air can be devastatingly effective when used in combined operations with ground troops. But bombing alone, in and of itself, seldom defeats a determined enemy. 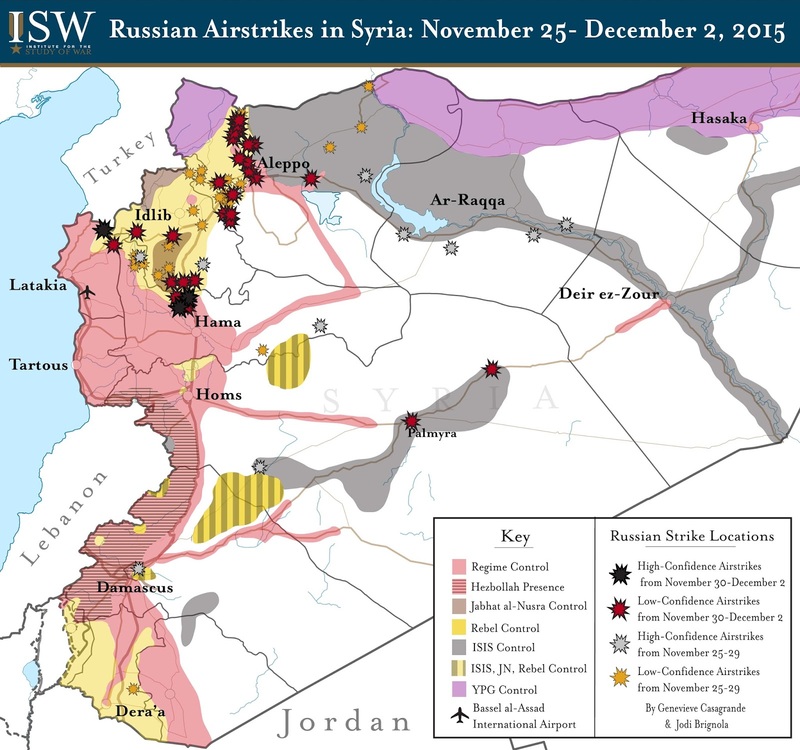 What these maps show is that Putin’s air strikes are concentrated on “rebels” not part of ISIS and not part of the al-Nusra front (formerly known as al Qaeda). 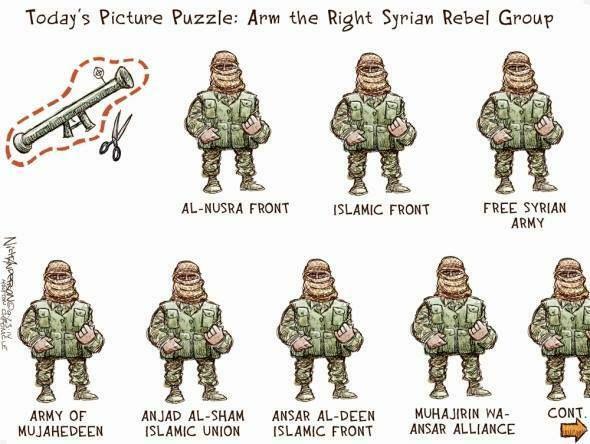 There is, however, no clear distinction between ISIS, al-Nusra and generic “rebels”. Individuals and small bands change affiliations according to the situation, and U.S. weapons given to “rebels” are often acquired by ISIS through capture, gift or sale. Christoph Reuter of Spiegel Online suggested that Assad wants to defeat the U.S.-backed rebels first and ISIS last, because, so long as ISIS is in the field, he can present himself as the only alternative. I suppose this is possible, but the simpler explanation is that Russia is concentrating on bombing the troops that are actually fighting the Syrians. 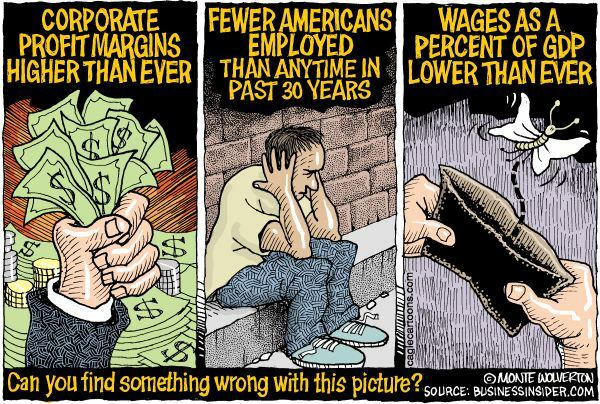 Bernie Sanders is a brave and intelligent opponent of the U.S. Wall Street oligarchy. But I think his foreign policy is naive. I don’t think he is naive about Xi Jinping, Vladimir Putin or Hassan Roubani. I think he is naive about Democratic presidents. He takes their statements at face value. He thinks the only goal of the “war on terror” is to fight terrorist organizations. Bernie Sanders is a person of good will. He is not a warmonger. I can’t imagine him cackling with glee over the death of a foreign ruler. But good will is not enough to reverse the bi-partistan militarism of American foreign policy. I think that if he were President, he would be more reluctant to go to war or overthrow foreign governments than George W. Bush, Barack Obama or Hillary Clinton. But I do not think he does shows an understanding of the forces that drive the U.S. government into foreign interventions. He would, like Obama, resist sending large numbers of American ground troops to fight in foreign wars. He would prefer negotiations first, economic sanctions next and use of killer drones, bombing campaigns and Special Operations forces after that. But he has said he is not a pacifist and that he would not absolutely rule out any kind of military action. Sanders has called for reducing the size and the budget of the U.S. military. In order to do that, it is necessary to reduce the mission of the U.S. military to the actual defense of the country and its allies. 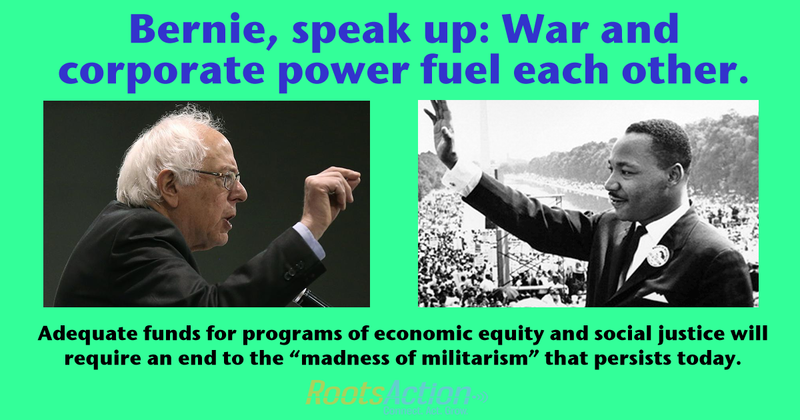 If the goal of the United States is to be the dominant military power in every region of the world, that goal cannot be achieved on a Sanders budget. Or even on an Obama budget. Just because U.S. policy is to have troops all over the world, the number of troops available for actual fighting is relatively small. The troops sent to fight in Afghanistan and Iraq were stretched thin and sent on repeated deployments until some of them reached the breaking point. Obama’s answer is flying killer robots, air power and Special Operations. What is Sanders’ answer?